There are fish stories and then there are fish stories. The postmark on this postcard reads 1927, but the copyright on the front reads 1912. I can imagine that back then, not a whole lot of people had ever heard of a whale shark, let alone seen one. 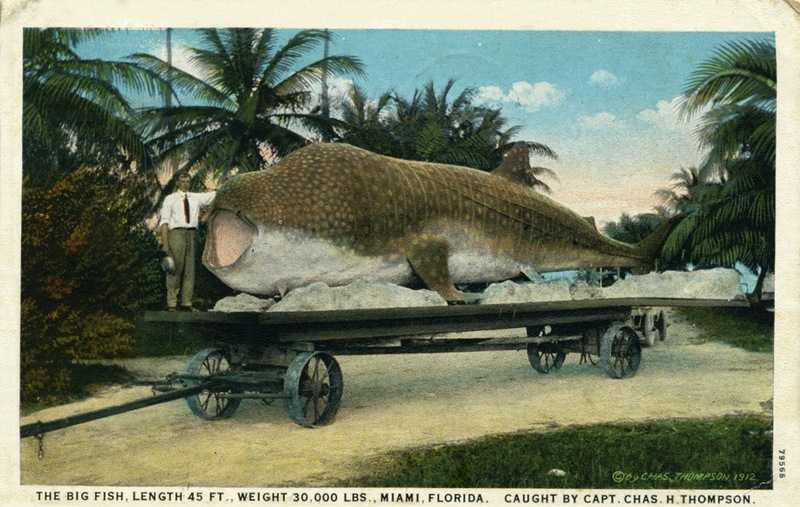 In stark contrast to the exaggeration postcards of ridiculously giant fish, this one is true. A behemoth of a shark that received a lot of notoriety in its day. Oh, isn't he a beauty. Poor fellow. i wish we could throw him back in.